Arsenal planning to move for 'this' Mainz defender: But is he overpriced? Looks like Emery has found the defender he wants to sign during the summer: Who is it? Arsenal have been leaking goals like crazy during the past couple of months and this mostly has to do with the number of defensive injuries. To start, Emery did not inherit a perfectly great defensive line-up and now players like Rob Holding and Hector Bellerin has both suffered long term injuries. Both Bellerin and Holding have suffered ACL injuries and the club have confirmed that they will play no further part this season. In such a scenario, everyone expected Unai Emery to bring in a new defender during January but the club failed to make that signing. Gbamin is an Ivorian international who currently plays for Bundesliga side Mainz. 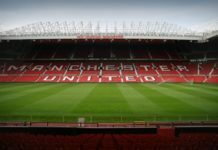 The centre-back who can also play in defensive midfield has made quite a reputation for himself this season and a number of Premier League clubs have shown an interest in him. While Unai Emery’s club are currently the one leading the pack but there is one big problem for the Emirates boss. Emery has claimed that he will get only £45 million to spend during the summer and as per the latest reports Mainz have valued Gbamin at £40 million. This means if Arsenal were to make a move for the defender then they would exhaust 90 per cent of their budget in bringing in just one player. Gbamin’s current deal with Mainz runs out in 2023 but given all the attention the player is getting, he could very well force a move out of the club during the summer. In such a scenario, Mainz might be forced to sell him off for less than their asking price which will play the deal right in the hands of Arsenal. 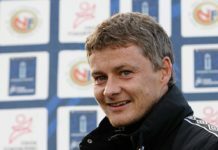 Next articleMan United vs PSG: Is Solskjaer set to miss one defender and one forward on Tuesday?